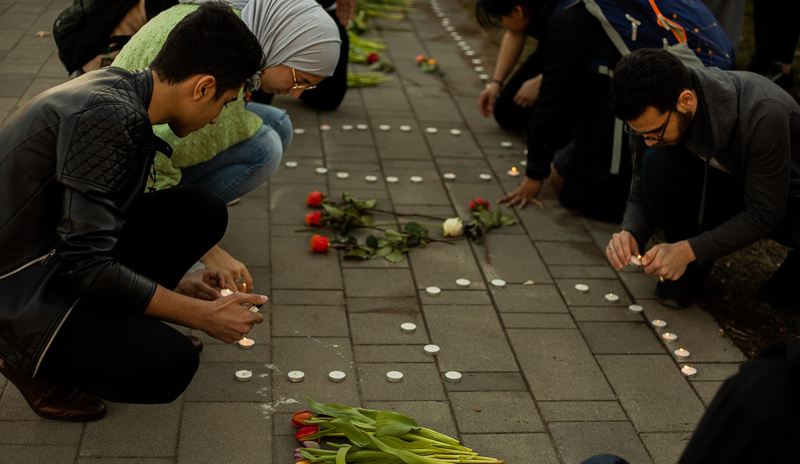 UBC students held a vigil yesterday evening to honour the victims of the March 15 terrorist attack on two mosques in Christchurch, New Zealand. Hosted in front of the Martha Piper Fountain, the vigil was organized by Thaqalayn Muslim Association UBC (TMA), Solidarity for Palestinian Human Rights UBC, Arab Students Association at UBC (ASA), Muslim Students Association UBC (MSA), UBC Pakistani Students’ Association and Colour Connected Against Racism UBC. The Christchurch shootings took place at the Al Noor Mosque and the Linwood Islamic Centre during Friday prayer, leaving at least 50 dead and more injured. 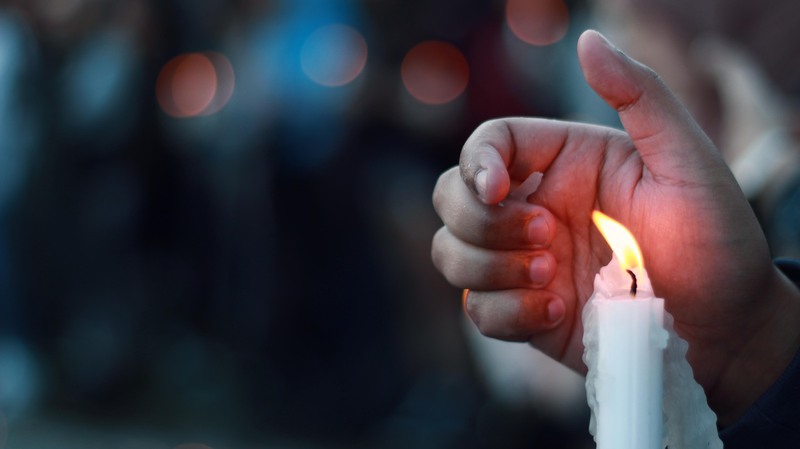 It is the deadliest mass shooting in New Zealand’s history. At the vigil, around 300 UBC students, faculty and members of the greater Vancouver community gathered to share thoughts, poetry and prayers. 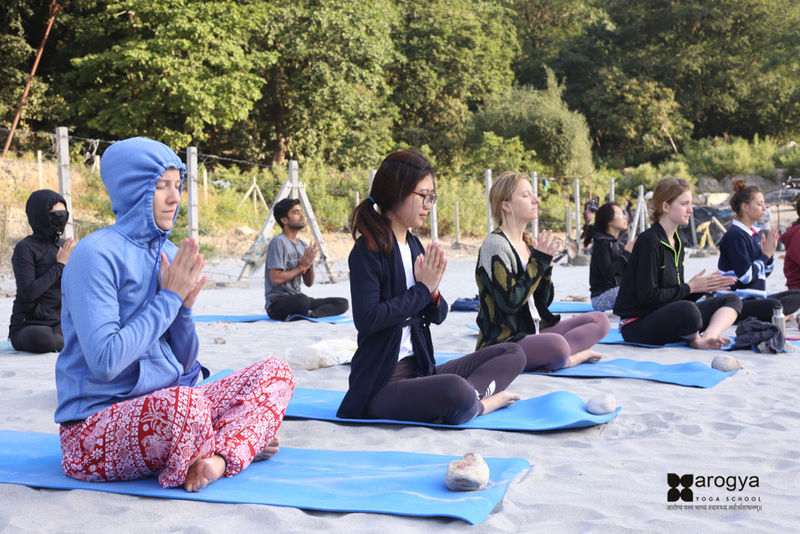 “[The organizing team] has been trying to recover emotionally, as well as plan an event, which has been really difficult,” said TMA President Tuqa Al-Shakarchi, one of the event organizers. Standing next to a line of lit candles, event organizers and faculty members took turns reflecting on the shootings and the global political climate. For many, the attacks in New Zealand — while horrendous — did not come as a surprise. “A shooting happens and we react. We hold a vigil. We speak up and say we need gun control. And then another one happens,” said Mohamed Abdelkhalek, who is SPHR president and ASA events coordinator. The speakers also condemned the sharing of the mosque shooting footage on the internet. “It’s incredibly disrespectful to those who’ve lost their lives,” said MSA member Noeman Arshad Virk. Amidst the anger and grief, many speakers also pointed out the strength of the Muslim community and the need to live with compassion. Throughout the vigil, attendees embraced one another, laughed and cried together. Many expressed appreciation for the show of solidarity and community. 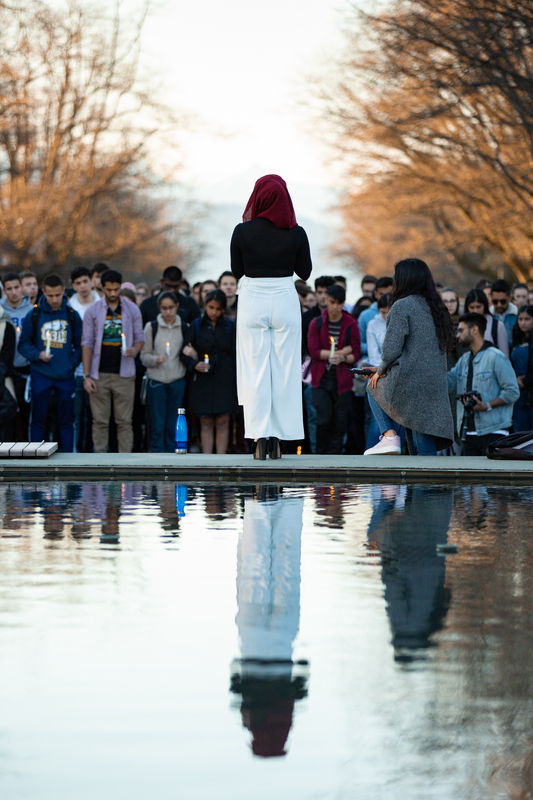 “I saw students from different backgrounds, I saw students from different ethnicities, religions, but they all had one common goal: to stand in solidarity against these attacks and to show support for the Muslim community,” said Amanda Hage-Hassan, an event organizer. The night ended with a silent march to the Nest. 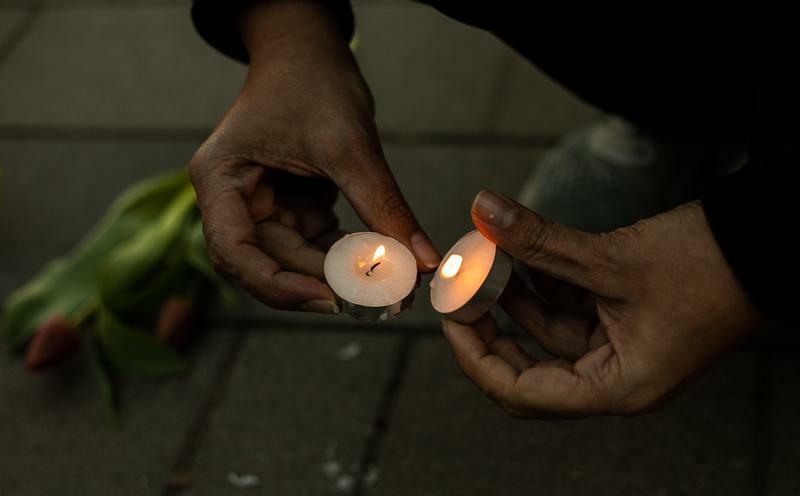 Attendees laid extinguished candles and flowers at the base of the grassy hill before embracing and dispersing into the evening. This article has been updated to correct the number of attendees and the positions of Mohamed Abdelkhalek.